This is a solid callback to the election, but Trump’s tax returns are meaningless at this point. 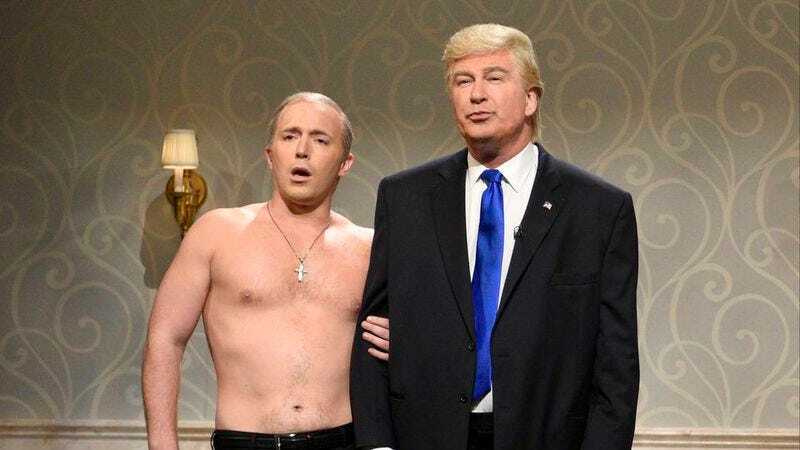 Baldwin’s wasting what could be a great opportunity by trying to score points in a game he’s already lost, so if he’s serious about giving up this SNL gig, he should try to get something more worthwhile out of the deal. Like, for example, he could ask Trump to let go of Steve Bannon, Mike Pence, or any of the other monsters in his administration, which would actually help people more than releasing his tax returns ever would.